The International Commission will hold a joint council with the Higher Qualification Commission of Judges (HQCJ) in the event of a veto on the Anti-Corruption Court judge candidacy. The developers of the document have agreed on this question with the representatives of the Venice Commission. Founder of Innovation and Development Foundation, one of the project's creators, Giorgi Vashadze, stated. "The international commission vetoes first, and then a general council is being formed by “16 + 7” formula. Thus, 16 are the members of the HQCJ, 7 are international experts. Currently, we are agreeing on the majority. But the international experts would definitely have a blocking a voice. The details will be discussed soon," Vashadze claimed. The role of the international experts in appointing judges of the Anti-Corruption Court is the most contentious issue in the relevant draft law. In addition, at a meeting with the Venice Commission, it was agreed that international experts will receive a salary. "In addition to the personal proposal of the Ukrainian president, it was decided that the international experts will receive a salary for this work. Earlier it was planned that they should work for free. I do not believe that qualified experts would work for free for two years. There will be a high salary, as far as I have calculated, it will be about 7 thousand dollars a month. In addition to this, they would have flights, and Ukraine would pay for their accommodation," Vashadze said. According to him, the issue of the Supreme Anti-Corruption Court jurisdiction has been also agreed. "The Supreme Anti-Corruption Court will investigate all the corruption cases, including articles that are under the mark 45. Additionally, the entire investigative jurisdiction under National Anti-Corruption Bureau (NABU) will be included in the jurisdiction of the Anti-Corruption Court," Vashadze added. He said that this issue has been fully agreed with the IMF. In addition, it was decided to cancel the lie-detector test for the Anti-Corruption Court candidates. They also agreed that only the Prosecutor General will be able to prosecute the representatives of this court, and the State Bureau of Investigation will investigate such cases. 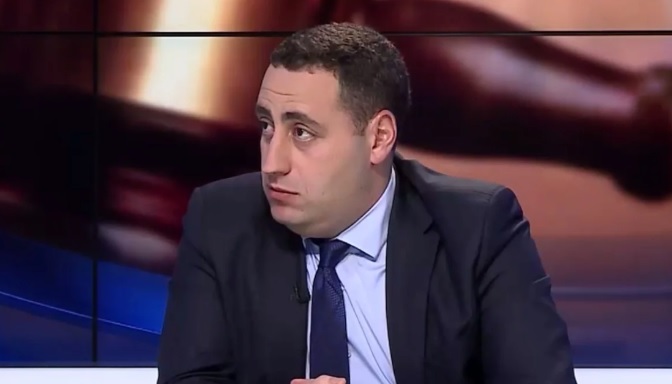 "Another recommendation, verbally voiced by the internationalists and deputies, concerns some existing cases that are already being considered by the court but cannot be transferred to the Anti-Corruption Court (not to overload the Court with the old cases)," Vashadze added. March 1, Verkhovna Rada supported as a basis the draft law on the Anti-Corruption Court; 282 people's deputies voted for. The document is criticized for the fact that the court's trial was planned to be made too broad (the institution could be "overwhelmed" with the secondary issues), and in the meantime, not all the crimes investigated by the NABU are on the list. However, the most urgent issue is the role of the Public Council of International Experts. It was supposed (in the first reading) that the veto of this council during the election of candidates to the court would be overcome by the Supreme Qualification Commission of Judges by 11 votes out of 16. Meanwhile, the Venice Commission recommended giving international organizations a decisive role.